A lot of people have said that it is no more than floor scrapings and that is has nearly killed a few dogs. A lot of the dogs after eating the food have had to go to the vets to get checked out. It appears that they use cheap and nasty ingredients in the food and one dog even died through eating it. Everything points to it being a bad dog food that really should be took off the market. Purina do say that they will refund you, but how can you refund a sick dog or even a dead one! More and more people are saying please don’t buy this dog food as it has nothing but fillers and animal parts in it along with food colorings. It can give dogs kidney and liver problems. The list is endless, it is a bad dog food and shouldn’t be fed to your dog. 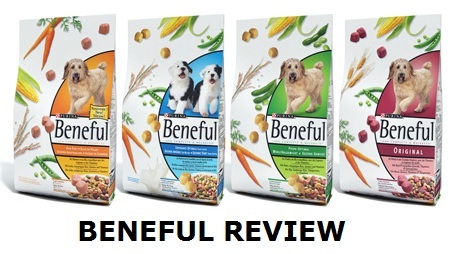 Dogs fall unwell after eating Beneful dog food and can lose weight and just be unwell. There have been dogs that have vomited and then you have to take them to the vets and pay the vet bills so it is not an economical food at all. Why would you risk your dog’s health to give it this food is beyond me. I would stay well alone as there are plenty of healthy alternatives out there for around the same price. Do yourself and your dog a favor and don’t buy Beneful dog food as it is a waste of money and potentially dangerous for your dog. If you want to check this out yourself then take a look at the ingredients and you will see that dogs shouldn’t be eating sugar and colorings. All in all save your money and bypass Beneful dog food as it won’t keep your dog healthy and you could end up at the vets instead. You owe it to your dog to feed it a healthy diet and it won’t be getting this from Beneful dog food.